Remember growing up and watching Saturday morning cartoons? Popeye was a big part of that. 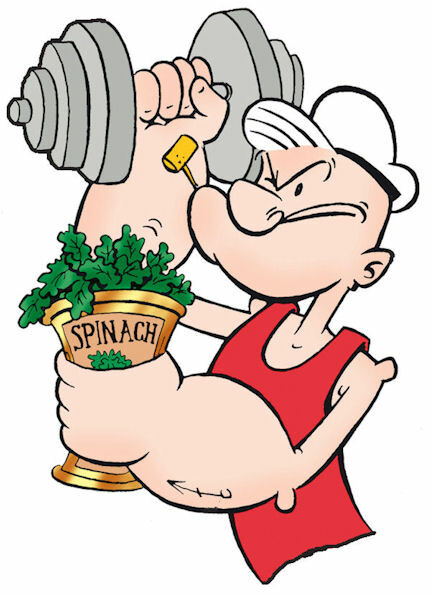 Do you remember how he would always have his spinach before he got going? And your parents telling you, you better eat your greens if you want to be big and strong like Popeye? Well it seems science has caught up with what Popeye and our parents always told us. can help power your workouts. They can aid in oxygen utilization during intense interval training. Nitrates can even help the body adapt quicker to altitude training. think twice before you skip them. Your workout will thank you for it. Checkout the following article for more info.